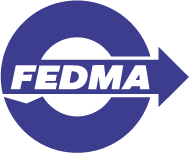 FEDMA Article – On Wednesday, September 13, the president of the European Commission Jean-Claude Juncker presented his annual State of the Union speech in front of members of the European Parliament. Each year representatives of the Commission and MEPs gather in Strasbourg to listen to the Commission President’s assessment of current affairs and vision for further European development. This year speech was delivered in much more positive and upbeat tone than the previous one in 2016 with an optimistic view on the Union’s future. Still mentioning “a very sad and tragic moment” of Brexit, which Europeans will always regret, Junker stated that the “wind is back in Europe’s sails”. European Commission President stated among the main priorities a need to better protect European citizens in the digital age. “New rules, put forward by the Commission, will protect our intellectual property, our cultural diversity and our personal data”, said Junker. Most of all, he stressed out the danger of cyber-attacks and proposed to create new tools such as a European Cybersecurity Agency to foster defense in this area. Moreover, Junker shared a letter of intent to Parliament’s President Antonio Tajani and Estonian Prime Minister Jüri Ratas. In the list of 10 priorities, identified in the letter, the second place is taken by a connected Digital Single Market. By the end of 2018, the Commission plans to launch three new initiatives: cyber-security package to protect the citizens from threats in the online world, data package with a goal to ensure a free flow of non-personal data within the Union and online platforms initiative for fair landscape in the digital economy. The Commission also expects all 14 legislative proposals on the table of the Parliament and the Council, including the e-Privacy Regulation, to be adopted until 2019. Besides, as one of the initiatives, the letter mentions “Commission guidance to prepare citizens, business and public administrations for the direct application of the General Data Protection Regulation”, which will be developed with the expert help of the Article 29 Working Party. Full text of the speech can be found here. Full text of the letter is accessible by this link.